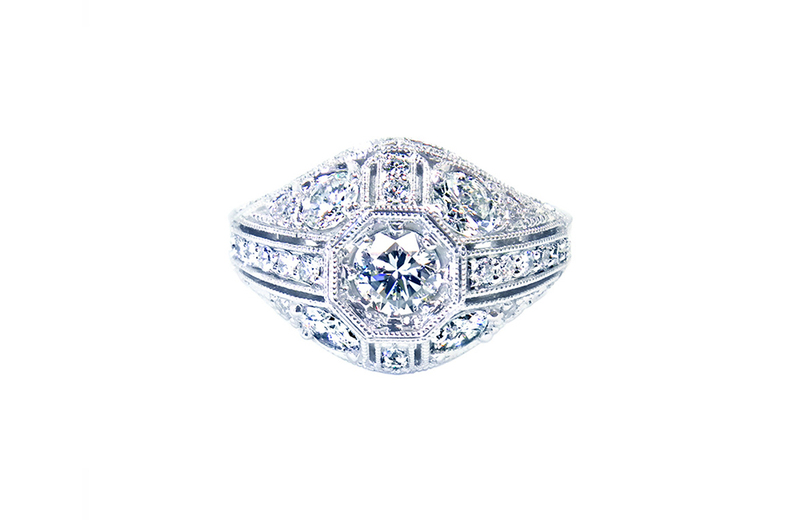 A timeless round diamond is embraced by this vintage inspired pillow shape design. 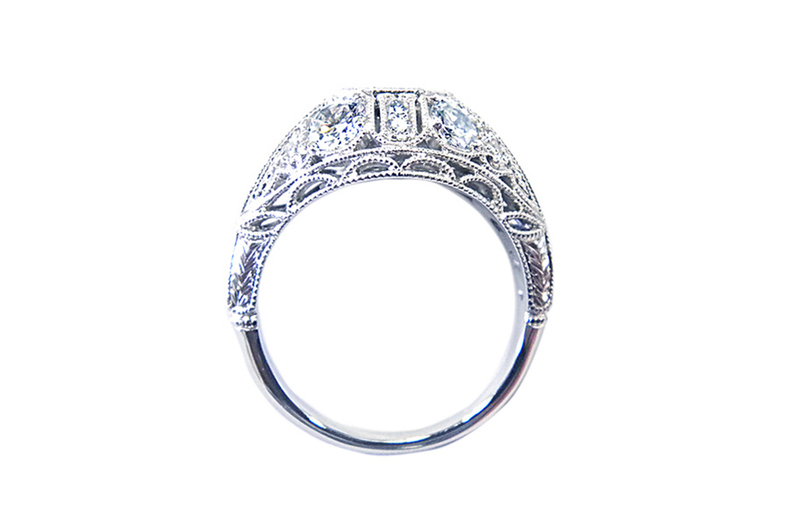 Our expert jewelers add the final details of milgrain by hand and set each stone to perfection. 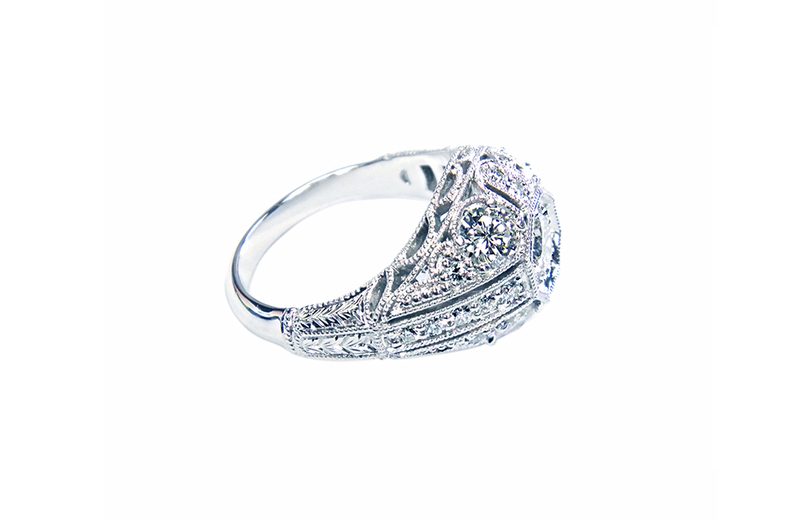 An elegant ring that will last for an eternity. Approximately 1.60 tcw.